CTI received the Shirley S. Schwartz Urban Education Impact Award given by the Council for Great City Schools at their Annual Conference in November 2013. This award is given annual to recognize an outstanding partnership between a university and an urban school district that has had a significant, positive impact on student learning. 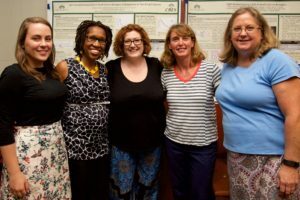 CTI is a partnership among Charlotte-Mecklenburg Schools, Davidson college and UNC Charlotte to strengthen teaching and learning in public schools. Read the press release. Posted on February 19, 2014 by Scott Gartlan. This entry was posted in CTI News, News. Bookmark the permalink.